A key driver in the exponential growth of any technology is purpose – a reason to use it. So it was for augmented reality (or AR) when Pokémon Go arrived this Summer. Since launch in July, over 500 million users have downloaded the app, so they could enjoy the AR experience of finding virtual monsters, in real-world locations. 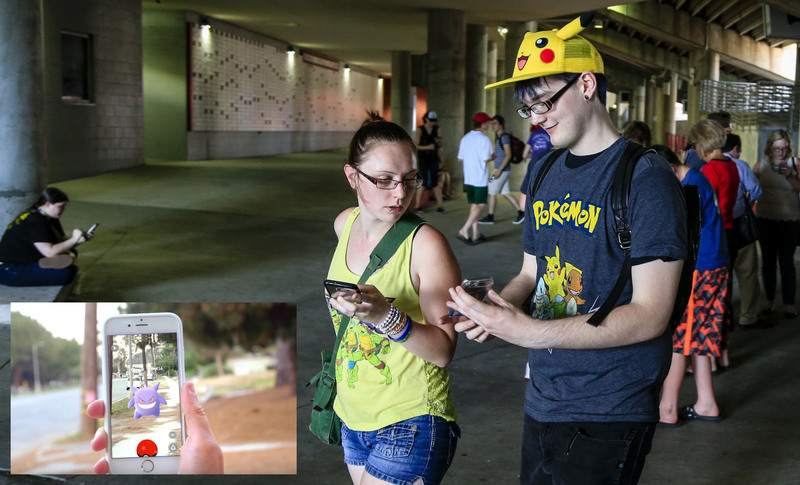 Up to now, and despite being around for a while, AR has, on the whole, been limited to engagement for consumer brands, and not previously been in the consciousness of the masses – Pokémon Go proves that with the right value and purpose, AR will rapidly become a mass medium. VR is different. Whilst it has perhaps been better understood for a while, up to now, the single biggest barrier has been hardware – as you probably know, this is rapidly changing. The View-Master was perhaps the first mass market product to hint at consumer virtual reality. The toy was a simple slide projector that created a clever 3D-effect view of photo scenes. Despite being pretty basic, the View-Master was a popular toy from its launch in 1939 up to the 90’s. Perhaps the main reason for View-Master being popular for so long, was its accessibility – a relatively low cost, simple toy that for a moment, transported the user away to another place, virtually - to evoke that sense of presence. Unsurprisingly, View-Master itself has now evolved into a mobile VR unit, offering education-led experiences. Our desire to imagine and experience virtual worlds has undoubtedly increased with the growth of digital media over the past few decades. Movies from the 90’s like The Lawnmower Man (1992), Virtuosity (1995) and The Matrix (1999) gave a great snapshot of our vision at the time, but on many levels already look dated next to the video games and experiences coming to market today. So a key factor in driving the evolution of virtual reality among consumers is the hardware technology – the headset (or HMD). Without it, there is no VR. For this reason, the tech industry has ‘bet big’ on VR hardware in the race to win consumer affection, providing an increasing choice of products – Oculus, HTC Vive and Playstation VR are just some. Google and Samsung have focused on accessibility, with their ‘Cardboard’ and ‘Gear VR’ solutions, allowing you to convert your smart phone into a VR device. Sport has been a natural fit for VR for a number of years. Professional sports are already using VR simulators to train – F1 being a good example of this. With limited time on the track in the off season, the teams use simulators that mirror the behaviour of their cars on accurately recreated circuits, so drivers can practise and engineers can gain valuable telemetry data. Other professional athletes like rowers or cyclists also use VR experiences to increase realism and enhance training techniques. Top teams are even hiring specialist companies to film matches in 360º, so they can convert actual games into VR – allowing them to replay matches from every angle, and better analyse scenarios like goals, fouls and off-sides, enhancing tactics and training. How about you, the consumer? Have you ever tried the latest gen golf simulator? No need to don your waterproofs and hike round an 18-hole course in the rain. Tee up in your local ‘virtual club’ like Urban Golf. VR bays whisk you away to the course of your choice, anywhere on the planet. 3D cameras accurately track your swing and shot, then projection walls show your ball – soaring down the fairway. Hopefully. While VR is changing sport for the teams, professionals and businesses behind it, more importantly it will change the way fans can experience it. In the near future, expect a VR headset to place you at the heart of the action in the stadium, at the track, or on the course, watching live, with other fans. TV broadcasters like Sky and BBC are already experimenting with VR, and broadcasting trial events in 360º video. In the future expect this to completely shift the paradigm, allowing fans greater insight and control over their viewing experience - following the single narrative of the TV director will be a thing of the past. In some sports, like football, you can already choose to watch a specific player rather than the main broadcast action. Imagine if your VR headset allowed you to see multiple 360º views. Glance away from the main action at a specific players-eye view, to see movements off the ball, or the fans reaction around the stadium - even visit the changing room as part of a half-time virtual tour. Add to this the commercial opportunity of VR. Clubs, sponsors and advertisers will use your personalised VR lobby to deliver smart, contextual content, messages and advertising in real-time. Direct links to the 3rd party sites and e-commerce will allow you to book tickets to a match, buy the latest team strip, make a bet on your team – the list goes on. 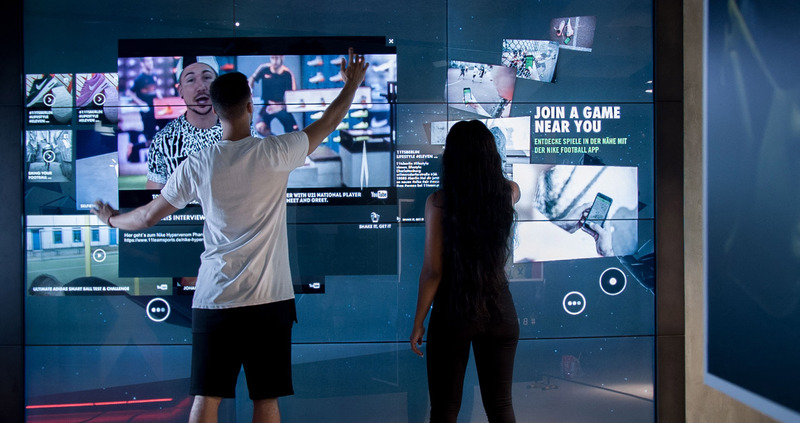 Aside of the sports brands themselves, we see the betting market as an early adopter. VR gaming lobbies will evolve from the home screen of your present day betting app. Event livestreaming goes hand in hand with betting sites and VR event broadcast can add a world of potential value to users, and in doing so innovate new ways and reasons to bet. Well, if VR relies on hardware to deliver complete immersion in a virtual world, AR is about enhancing the world around us - here and now. Clearly we need hardware to make it work – but a mobile device with a camera is instantly accessible wherever you are, and impacts far less on the users ability to carry on what they’re physically doing. We all remember Google Glass. Conceptually a fantastic idea, with endless potential, but it was let down by the hardware, not its application. Perhaps in a parallel universe, if Glass launched a couple of years later, under a colab deal with Pokemon Go, millions of us would be wearing them now? What we call “broadcast AR” is fast becoming an integral feature of sport viewing. Sky Sports are a great example – fans can see data overlays of player performance, or a real-time shot tracer of Rory McIlroy booming a 300 yard drive down the fairway. Similarly America’s Cup sailing augments the pictures with real-time data and analytics of the yachts performance. Football and Rugby matches look cool on TV, when team logos are mapped on to the pitch, along with stats on the team or players. During the broadcast, AR technology allows analysts to share their insights and highlight key information, like a player being in an offside position, or the swing characteristic of a golfer. But none of these examples truly place the user in control. Currently fans in the stadium can’t experience what we see on TV. The natural next step will be to empower the audience with this kind of information, via their device – be they at home or at the event. With the continued evolution of the Internet of Things (IoT), will enable fans to track their favourite players on pitch, see who is playing best, working hardest, ball speed and spin rates - even which equipment brand is performing best – with direct click-to-buy links. We believe the convergence of a number of technologies means AR will soon be at the forefront of some major changes to the way fans interact with sports. The same can be said of VR, but with AR’s accessibility and relationship with the real-world environment, it can more immediately integrate with, and drive, existing coms channels. As with VR, we believe sports betting companies, who by their nature strive to innovate new ways to entice customers to bet, are likely to be early adopters, and leverage this tech in the initial stages. If ‘in-play’ is the current betting innovation, imagine how real-time data on odds, performance and form of a player, team, car, bike, horse or dog, could empower audience knowledge and drive betting. 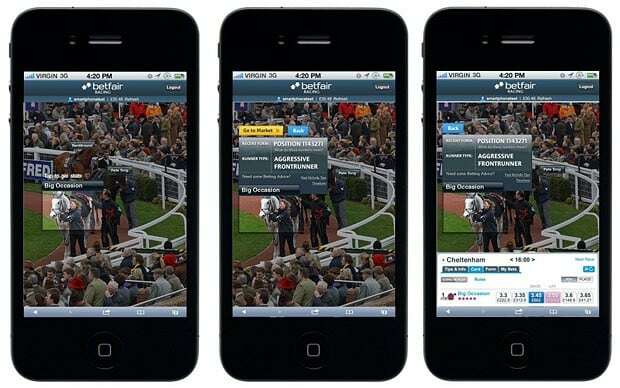 Back in 2012 BetFair experimented on a Grand National app that used AR in combination with GPS data. The idea for the app was to allow people with a phone to view odds and form data on specific horses live, and then place bets on the go – it was slightly too early based on the technology available at the time. Imagine the same concept being applied to any individual or team sport, where you can overlay data on players during the match. With so many variables, moving parts and data to interrogate in modern day sport, the mixed reality of the near future will continue to leverage the Internet of Things, and drive the evolution of tech like wearables. For years, companies like EA Sports have worked with top sportsmen to turn real actions into virtual ones for their video games. Soon, players could be wearing technology that will enable real matches to be augmented, while 360º film technology will give fans a reimagined viewing experience, at the heart of the action. For us, of all the hardware currently available, perhaps Microsoft HoloLens most neatly demonstrates the concept of mixed reality experiences. But expect the rate of change in hardware to be rapid. If you had picked up your View-Master in 1980 to look at football images, the idea of those scenes being an interactive live broadcast of 360º video would have seemed impossible. Pretty soon, we will be able to immerse ourselves in the 360º live action, virtually, from anywhere in the world. Or enhance being at a live event in ways we’ve yet to imagine. So, to conclude; you have VR in one corner, offering true immersion through the sense of presence and endless virtual worlds. In the other corner you have AR, with its instant accessibility, and enhancement of the real-world. Which will win out in sport? We believe the reality will be no one winner from AR and VR – only sport itself. The future will see a blend of AR and VR experiences, intertwining with other tech like IoT and wearables, to give us ‘mixed reality’, that simply enhances the way we experience sport - on every level.